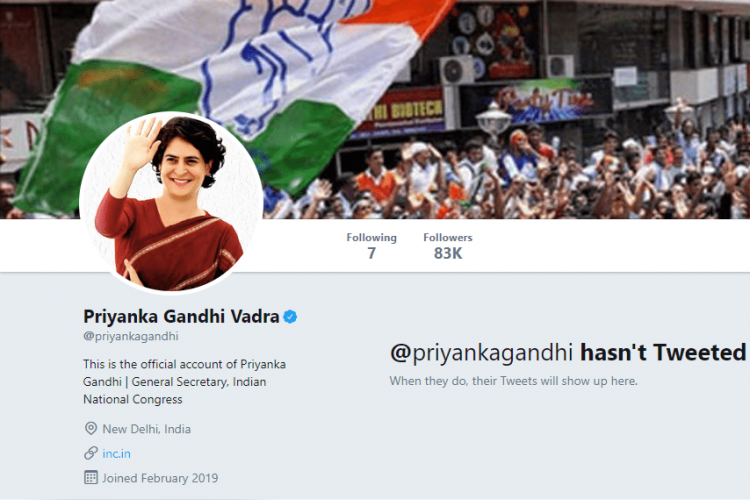 As the elections will soon hit the country, Congress leader Priyanka Gandhi Vadra joined Twitter on Sunday night at 10:45 pm, though she has not yet posted anything. @priyankagandhi got more than 35,000 followers by 1:15 pm. Congress' twitter handle too informed this. While as Congress General Secretary, Priyanka was in Lucknow today to interact with the public when her husband, Robert urged people to keep her safe.